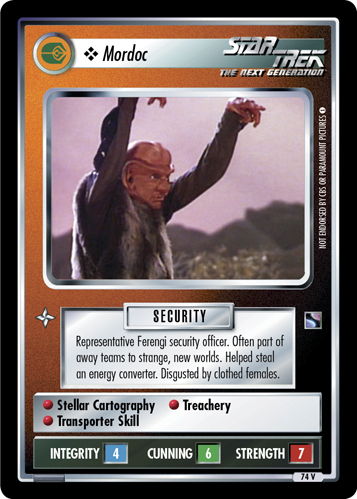 Typical Ferengi soldier. 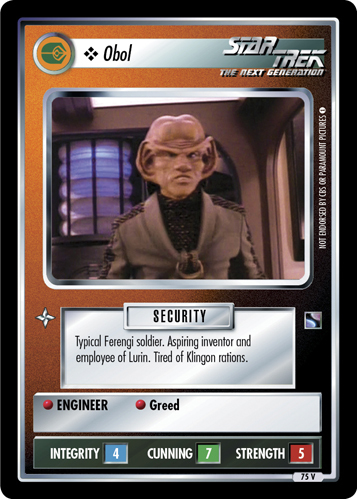 Aspiring inventor and employee of Lurin. 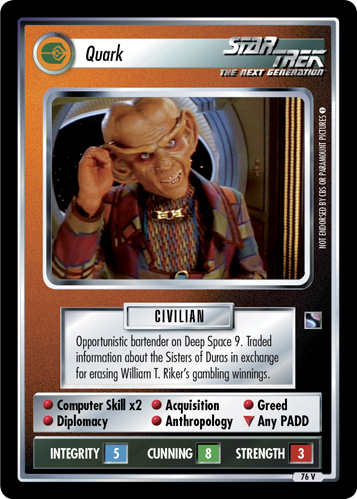 Tired of Klingon rations.